While the full scope of the deal hasn’t been made available just yet, we do have some good news for Teenage Mutant Ninja Turtles fans. At least some of NECA’s TMNT figures are getting distribution outside of the United States. On Friday, they had released a cryptic teaser image, showcasing a Turtle shell with assorted stickers from around the world. Those stickers included Poland, the UK, Japan, Italy, Brazil, Canada, Germany, France, and Ireland. Now, fans are seeing stores from around the world beginning to offer local pre-orders. 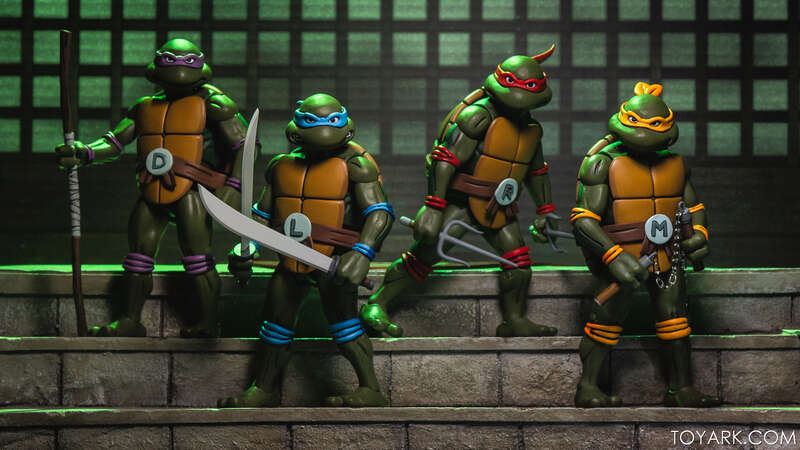 So far, we can confirm that the TMNT Cartoon 2-Packs will &#187; Continue Reading. The post NECA Teenage Mutant Ninja Turtles Getting Distribution Outside United States appeared first on The Toyark - News. Now bring the movie ones over too! Nice. Hopefully distribution isnt terrible. Go! GREEN machine!! I hope NECA could jump pass that hurdle with the Movie Turtles Distribution problem happening in the States right now. If you don't know or not aware many Americans are still having problems getting a hold of the TMNT movie turtles figures. Hope NECA has made more for everyone. I am really looking forward to these! Nice. I ordered all my 1/4 turtles from them and had a good experience but their newer pre order policy of: pay now get the stuff later isnt for me. Cant justify paying out nearly $300 today and not getting the stuff until Q3 2019.